Home / Blog / ARE YOU READY TO DISCOVER THE UNIQUE BEAUTY OF QUAN LAN ISLAND? The first impression when setting foot in Quan Lan is the beautiful nature and hospitable local people. 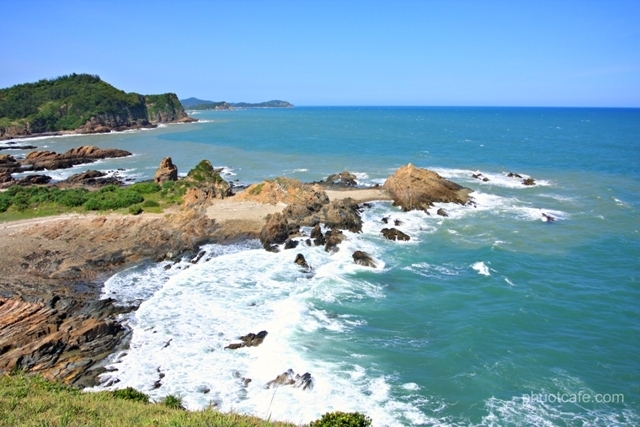 Quan Lan resembles a world of evergreen trees and pine forest stretching along the coast. Tourists to Quan Lan Beach are certainly overwhelmed by the pure beauty and wilderness of the land. Specially, the beaches here are incredibly pristine and smooth white sands along the shore. In addition, golden sand dunes endlessly stretching and the green water spinach make Quan Lan becomes much more romantic and charming. 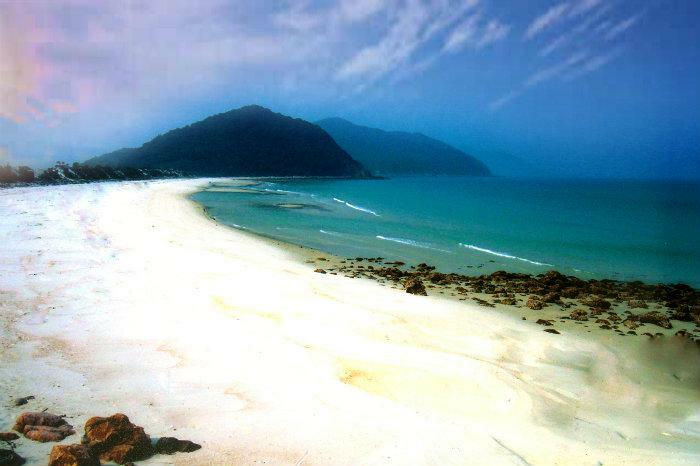 The nature favorably endows sands in Quan Lan a particular beauty. The white sands here are much smoother than other beaches in the North of Vietnam. 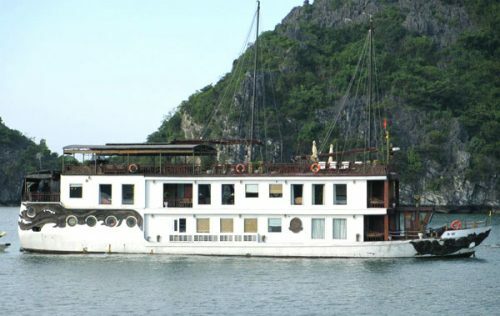 Immersing in Quan Lan island will be definitely one of the best things to do in Halong Bay in general. Tourists will be truly impressed with the peace, gentleness and purity of the nature and the locals here. As any famous beaches in Vietnam, the beaches on Quan Lan has their crystal clear water and golden sand. There are 3 beaches in Quan Lan : Quan Lan beach, Son Hao and Minh Chau. Coming to Quan Lan island, tourists can have chance to enjoy leisure time on its beautiful and isolated beaches. There are many ways for you to explore Quan Lan. What could be more enjoyable when lying on sands, breathing fresh air and admiring the gift of nature? Even when the night falls, the waves still make visitors satisfactory. 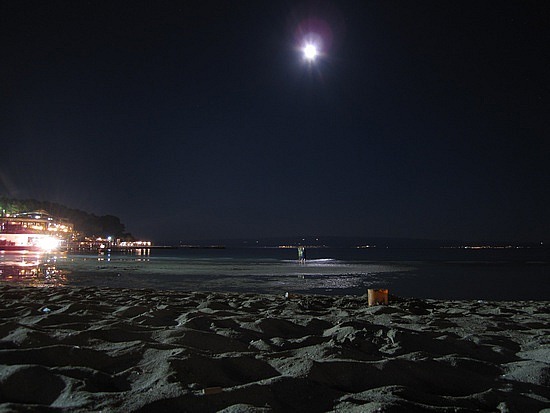 The night is dark but the light on the water is extremely breathtaking and romantic. The island is also the residence of many aquatic species such as squid, shrimp, butterfish, etc. 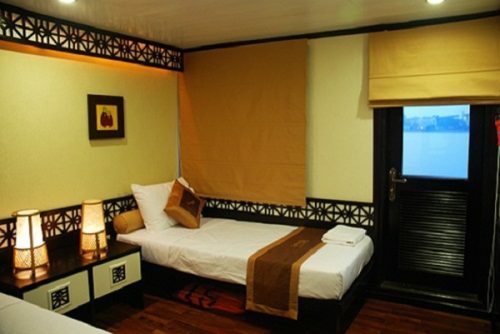 On Quan Lan Island, besides swim at one of the most beautiful beaches of Halong bay, tourists can enjoy quiet and refreshing atmosphere as well as delicious seafood from local fresh sea products. Motorbike and bicycle are the common means that you can hire with affordable price. But Tuk Tuk is the most unique and interesting means picking tourists up to the tourist center. With slow speed, you can experience the people’s daily life stop at any restaurants or food stall for special dishes. Besides hanging out on the beaches, and cycling or motorcycling around the island, you can discover a beautiful 200-year-old pagoda in Quan Lan Town. It was built at in the 17th century. This is a beautiful temple which made by woods carved elaborately. Over hundreds of years, the wooden temple still keeps its beauty. Visiting this pagoda, visitors can discover the architecture of the old pagoda as well as the culture of this land. Coming to Quan Lan island, tourists will have opportunities to comfortably discover the untouched and unique nature. With lots of potential for tourism, this island is becoming a star of tourism network in South East Asia. is It’s worth paying a visit to this island to experience the natural and cultural values destination.